The weeds are beginning to sprout between the rows of my vegetables out in the garden, so I need to get busy weeding. First thing to remember when controlling weeds in the garden is that the younger and smaller they are, the easier they are to control. The second important thing to remember is a sharp tool makes the work go faster. Third, work shallow in the soil, it takes less effort and it reduces soil moisture loss. In my work with organic vegetable farmers, I have learned a lot about weeding tools. 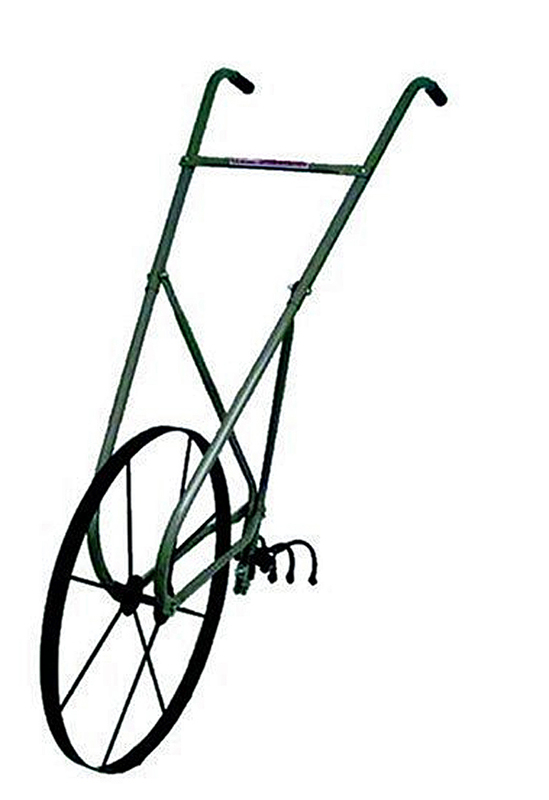 I have purchased several for myself and a good weeding tool can really help you to quickly and efficiently weed a vegetable garden. My favorite weeding tool is the wheel hoe. There are two styles: the classic "high" wheel type and the new more maneuverable "low" wheel design. Wheel hoes make quick work of controlling small weeds. I can use my old high wheel hoe to weed between the rows of my 3000 square foot garden and it tkes less than an hour. 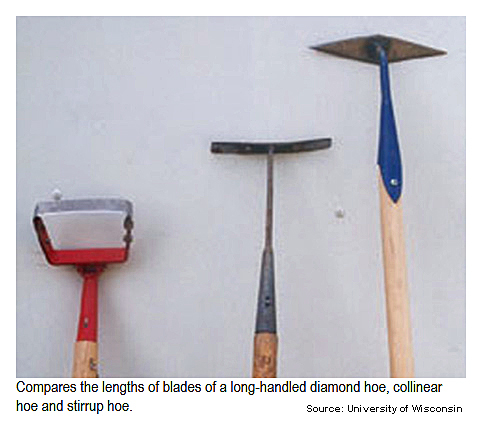 For weeding between plants in the row, my favorite tools are the collinear hoe and the diamond hoe. These hoes fit easily in between close growing plants and with a little practice you can do all most all your weeding in the standing position instead of stooped over. These are draw hoes, which means they are meant to be pulled toward you at a shallow depth to cut the weeds below the soil surface. When using any of these tools remember safety and wear heavy shoes or boots as well as gloves on your hands. A sharp hoe will quickly cut a weed and if you are not careful it will cut you.